The wet weekend continues Sunday after showers and thunderstorms across the area on Saturday dumped several inches of rain in many locations. 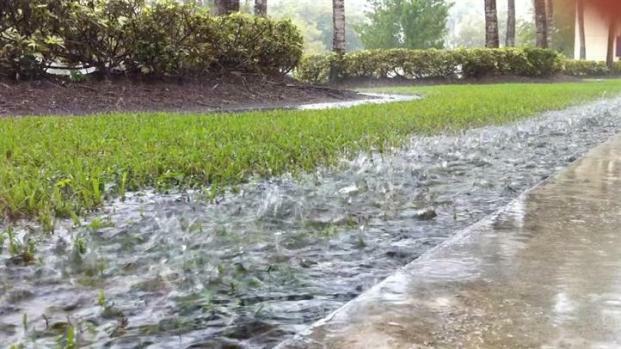 Broward County felt the most of the rain, and it continued into Sunday morning. Some areas received 2-4 inches of rain during the past 24 hours and if some of these areas see more rain today, there could be minor flash flooding. As a cold front continues to travel south on Sunday, the rain chances will stay in the forecast. Highs Sunday will stay in the lower 80's with scattered showers and thunderstorms Sunday afternoon. The front will stall to the south later Sunday which will keep moisture around. Showers will stick around for Monday, with scattered showers and temperatures in the mid-80's. The moisture should move out by Tuesday, as well as the rain showers. Sunny and breezy weather should remain Wednesday through Friday.